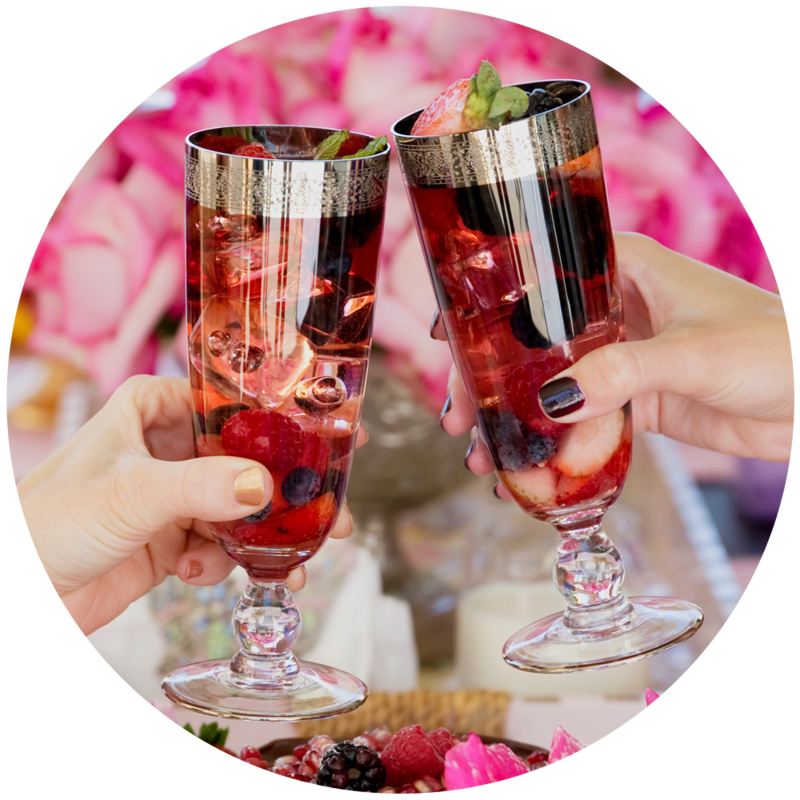 LVP Sangria – both red and pink—has a sumptuous color, a rich bouquet of fresh fruits, and a refreshing taste and finish. Poured straight from the bottle over a touch of ice, LVP Sangria is easy and gorgeous to serve. Coupled with fresh fruits and some mint, you have a drink that will delight your guests and perfectly complement any occasion! Serve LVP Pink Sangria chilled over a little bit of ice with your choice of fresh fruits. We love the pink with lighter colored fruits so it doesn’t distract from its exceptional color. Try sliced strawberries and raspberries, or any fruit of your choice. Garnish with a kiwi or sprig of fresh mint for a nice pop of color! LVP Pink Sangria is luscious alone but, if you feel like experimenting, check out some of our fun ideas for cocktails using LVP Pink Sangria under our Cocktails and Pairings tab! Don’t forget to eat your fruit after you’ve finished your glass – it’s a decadent little sangria-soaked treat! 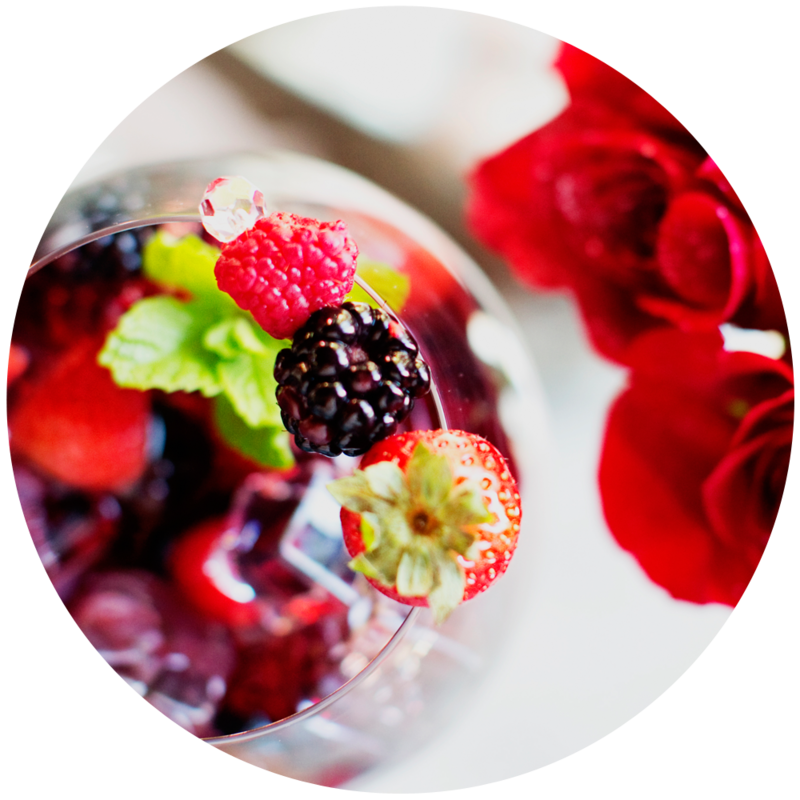 Serve LVP Red Sangria chilled over a little bit of ice with your choice of fresh fruits. We love ripe blackberries, tart blueberries, raspberries, and bit of kiwi for color! Try garnishing with a small sprig of mint for a bright pop of green. While LVP is delicious poured directly from the bottle, for a bit of adventure try adding a splash of orange liqueur or imported brandy. For some fun cocktails using our Red Sangria, check out our Cocktails and Pairings tab!